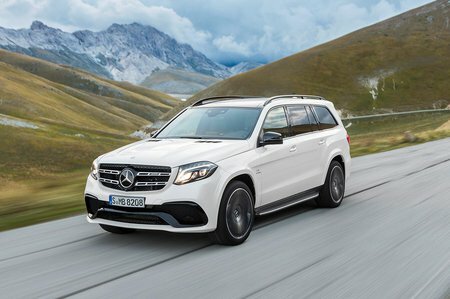 Mercedes GLS GLS 350d 4Matic AMG Line 5dr 9G-Tronic 2019 Review | What Car? What Car? will save you at least £6,360, but our approved dealers could save you even more. Entry-level trim, but stacked with equipment. Sat-nav, Bluetooth DAB radio, three-zone climate control, leather seats with heating in the front two rows and a memory function on the front pair, keyless entry and start and an upgraded Harmon Kardon sound system. City braking, blind spot and lane assistance system also feature.